Every season we design new and exclusive collections that are sold to selected jewelers and retailers around the globe. All of these designs are either limited edition, or one-off using unusual hand-selected African gemstones and diamonds set in whimsical and unique designs. 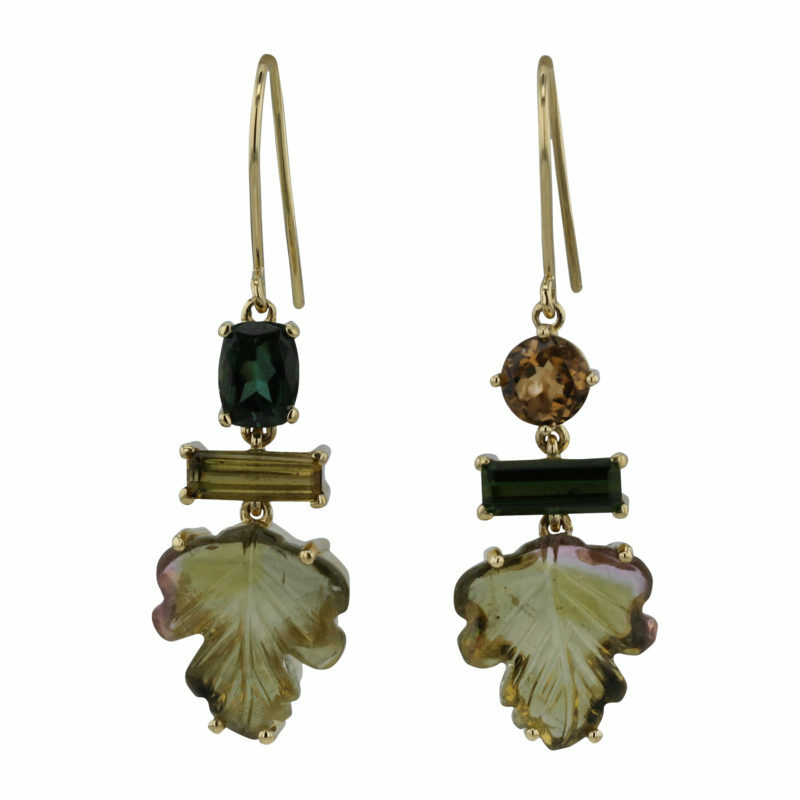 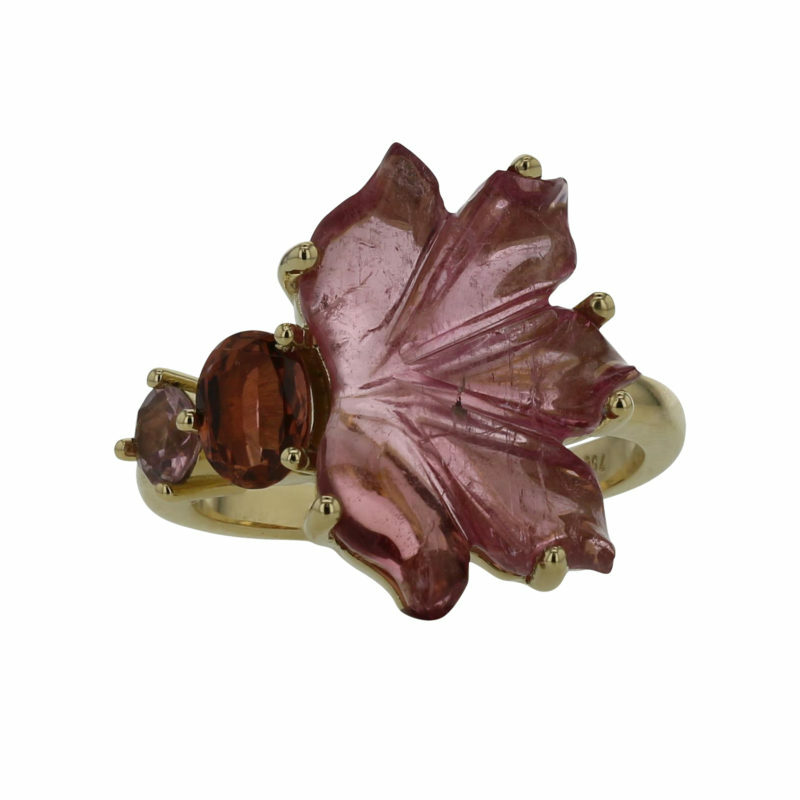 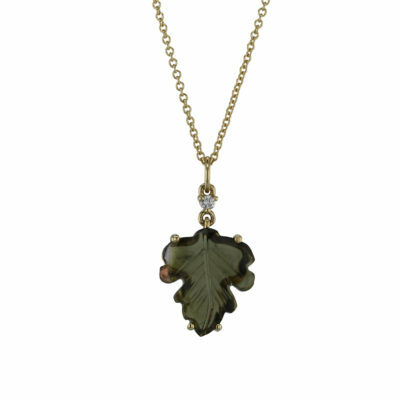 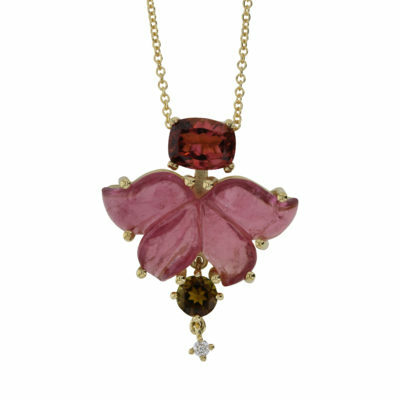 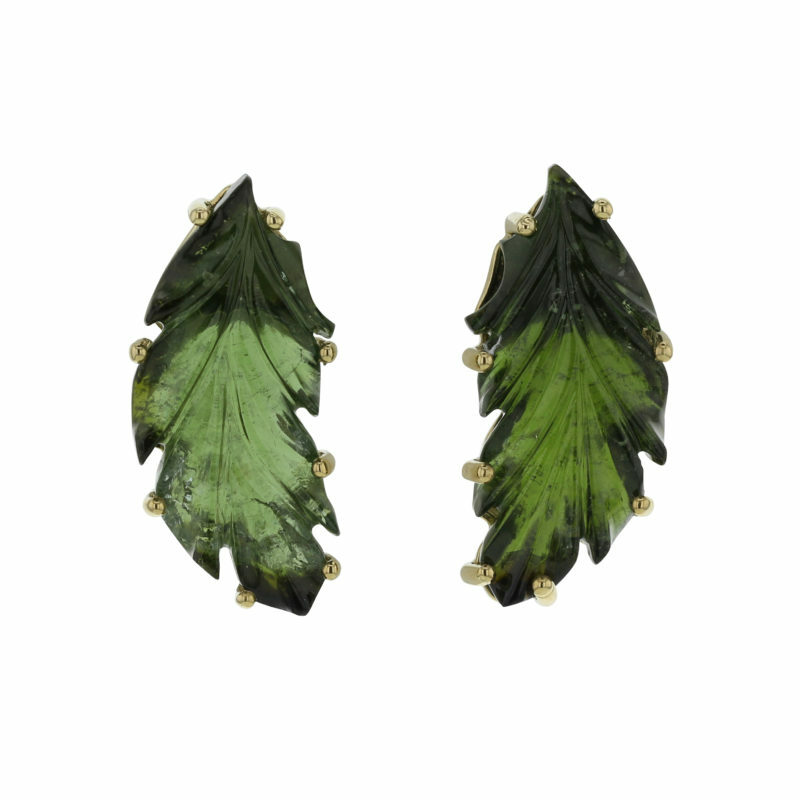 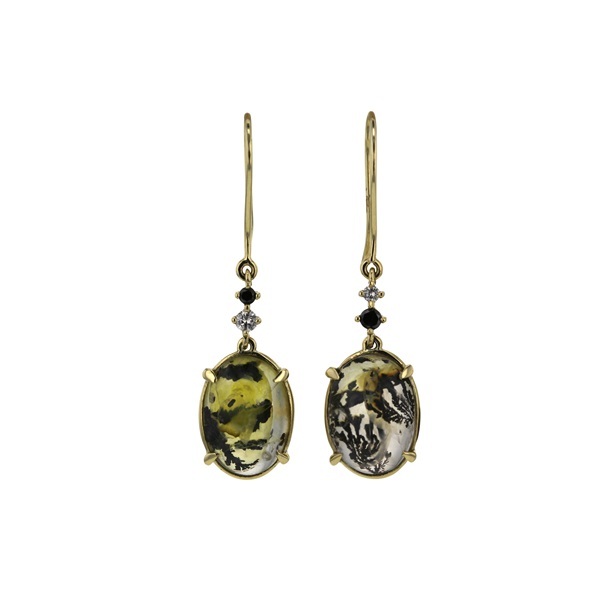 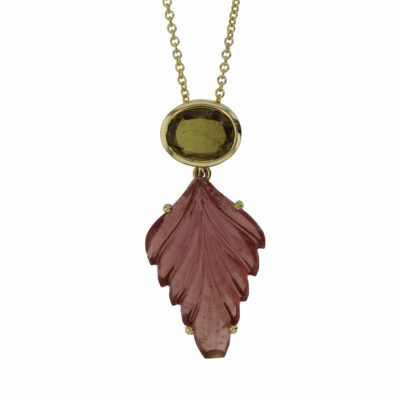 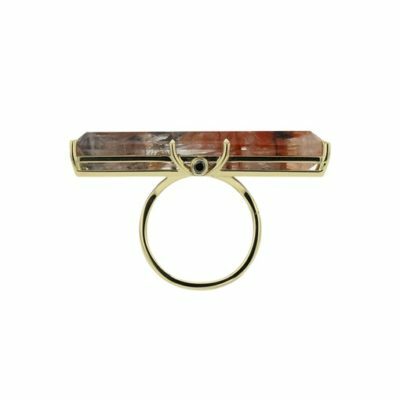 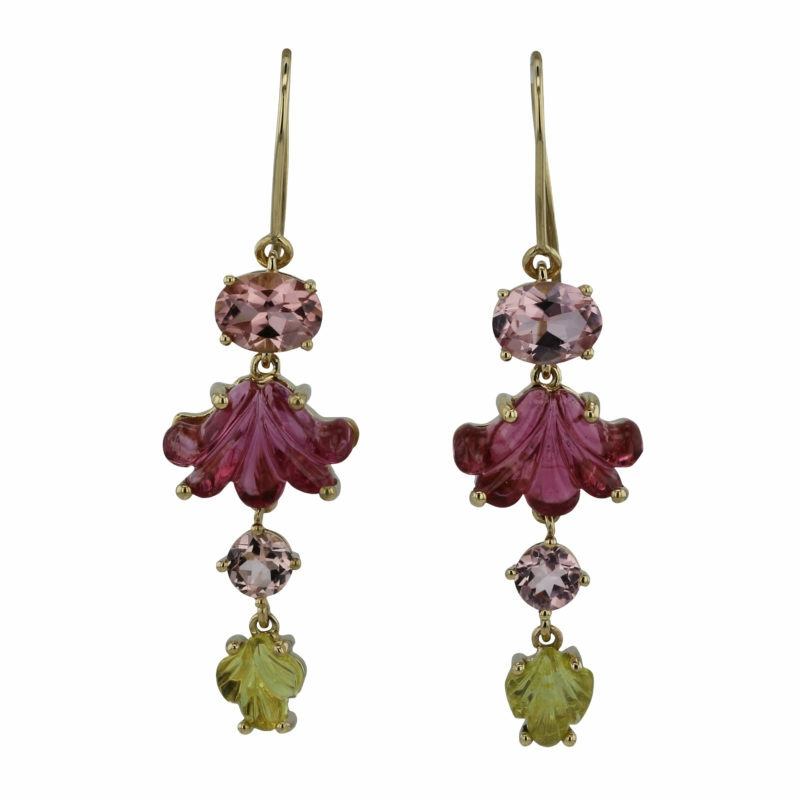 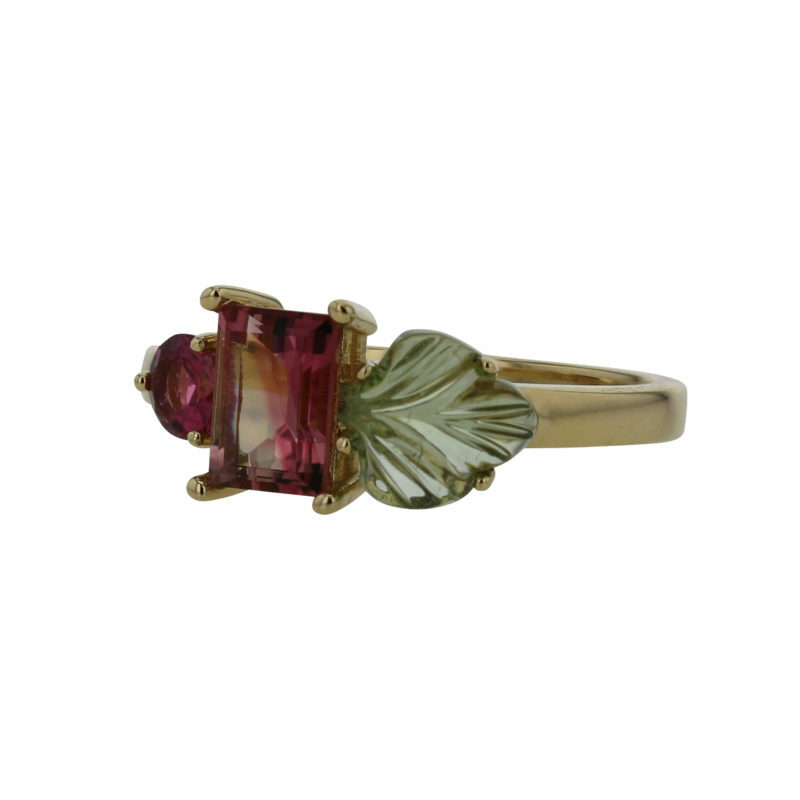 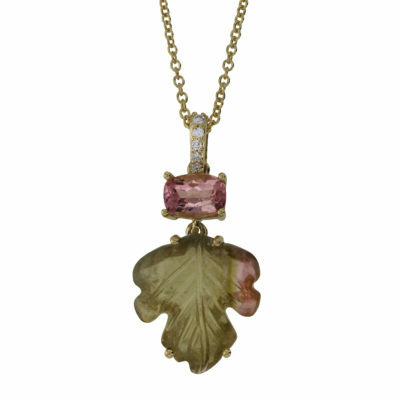 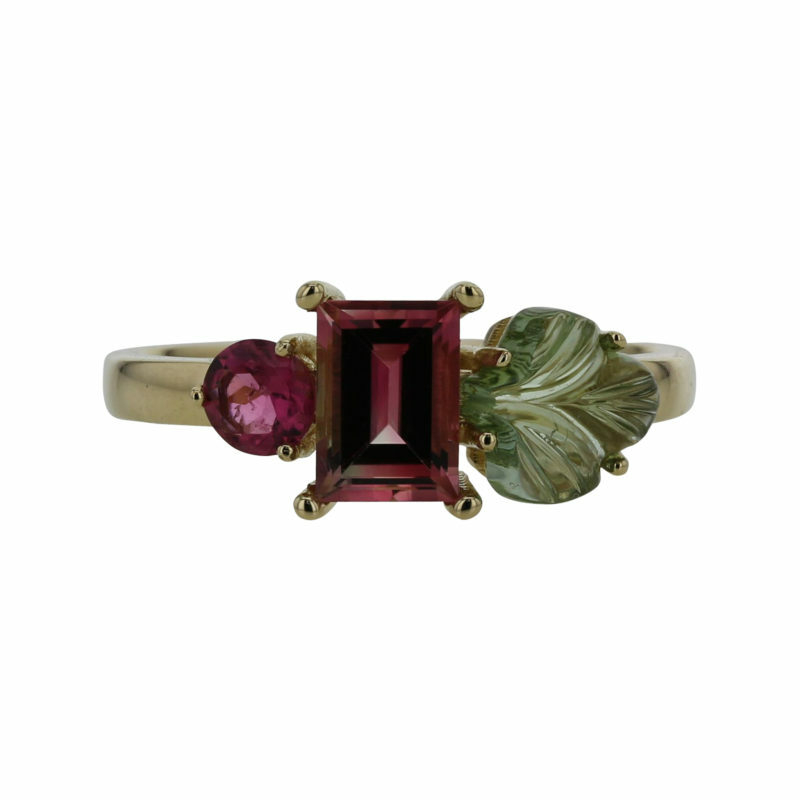 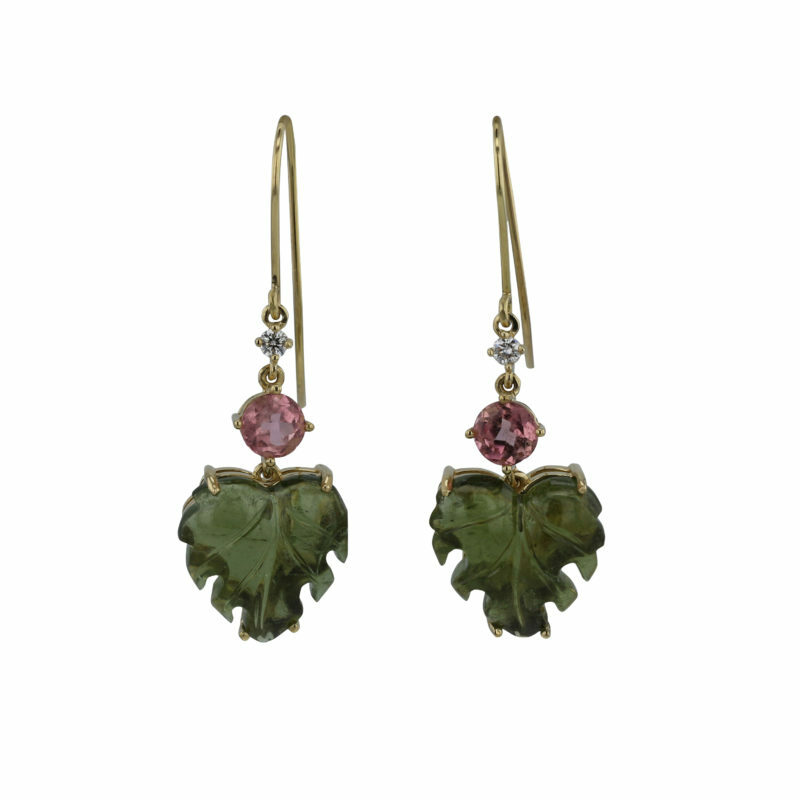 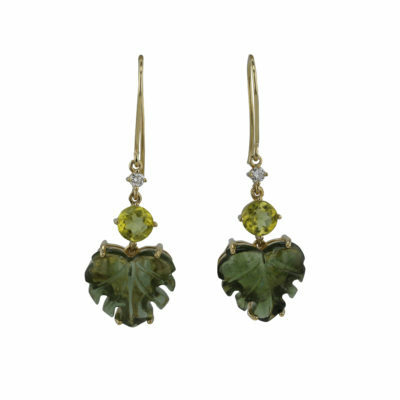 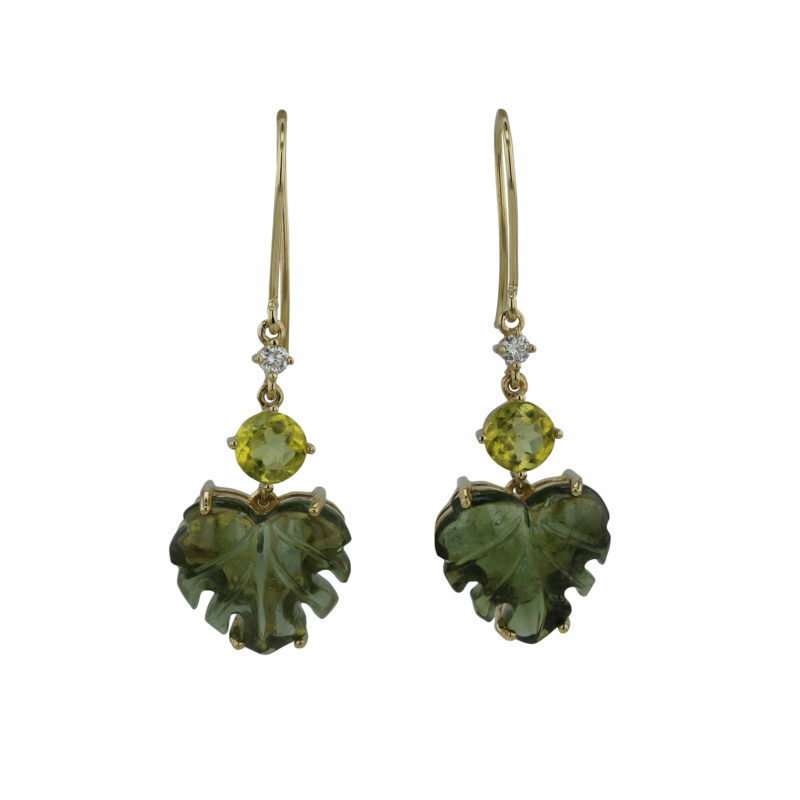 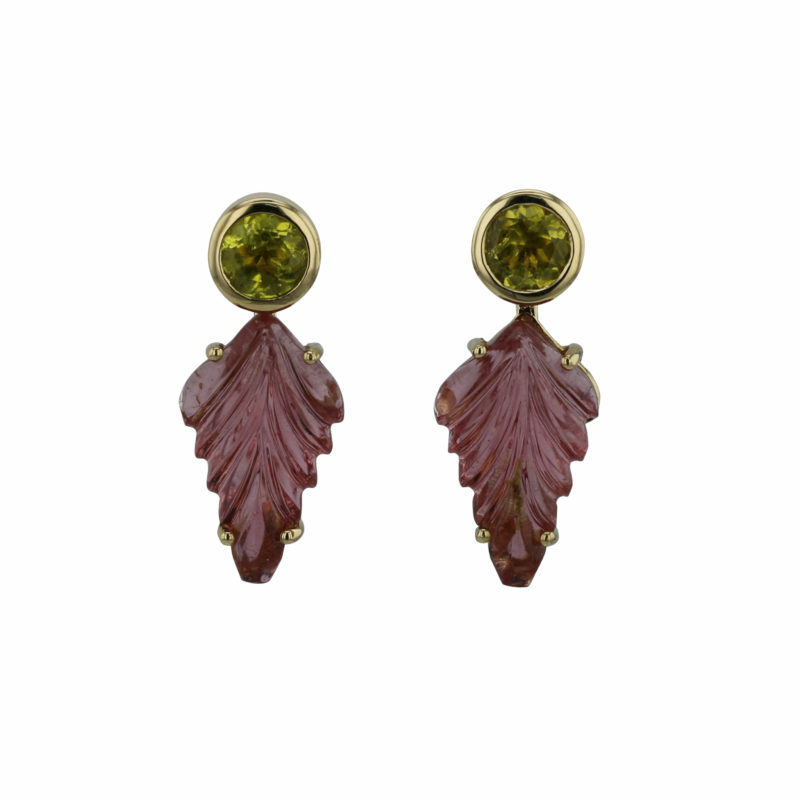 A whimsical tourmaline collection inspired by the Flame Lily’s and tropical leaves of the Vic Falls rain forest. 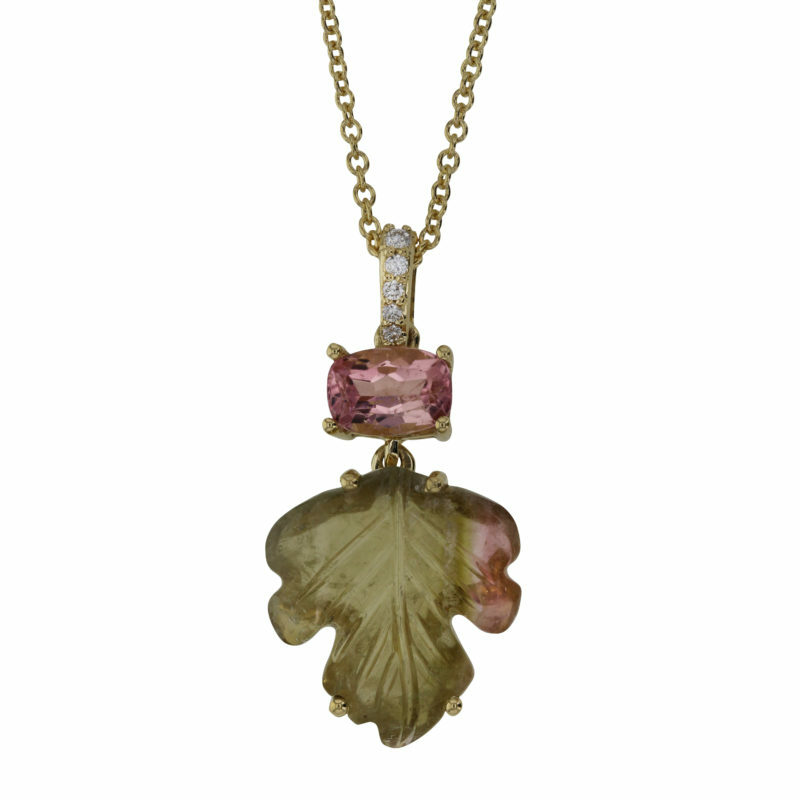 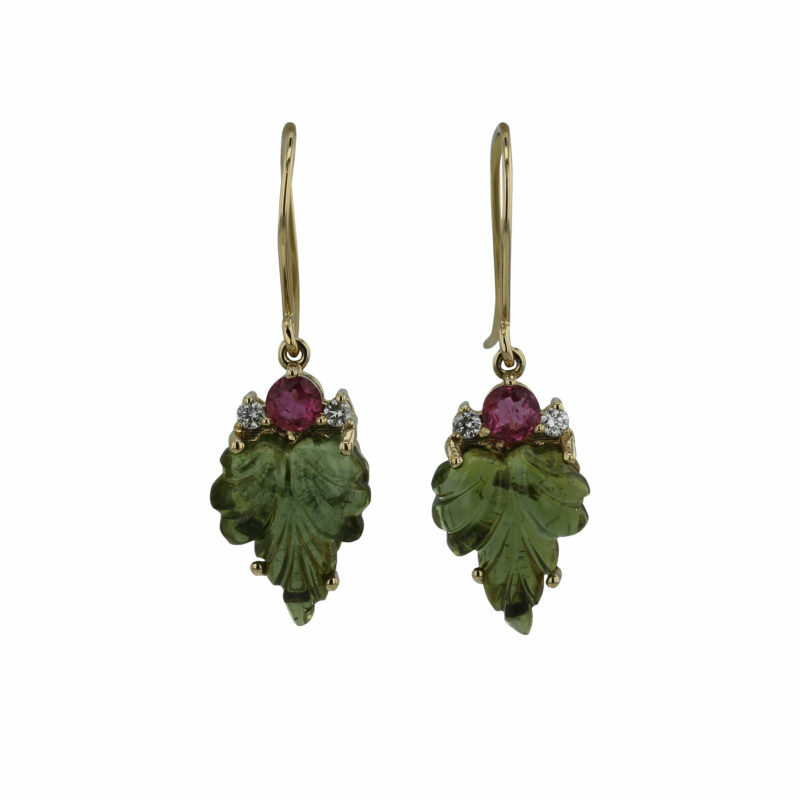 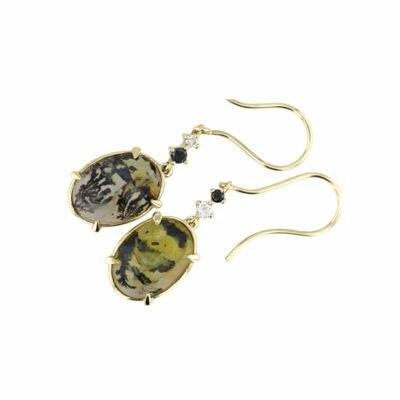 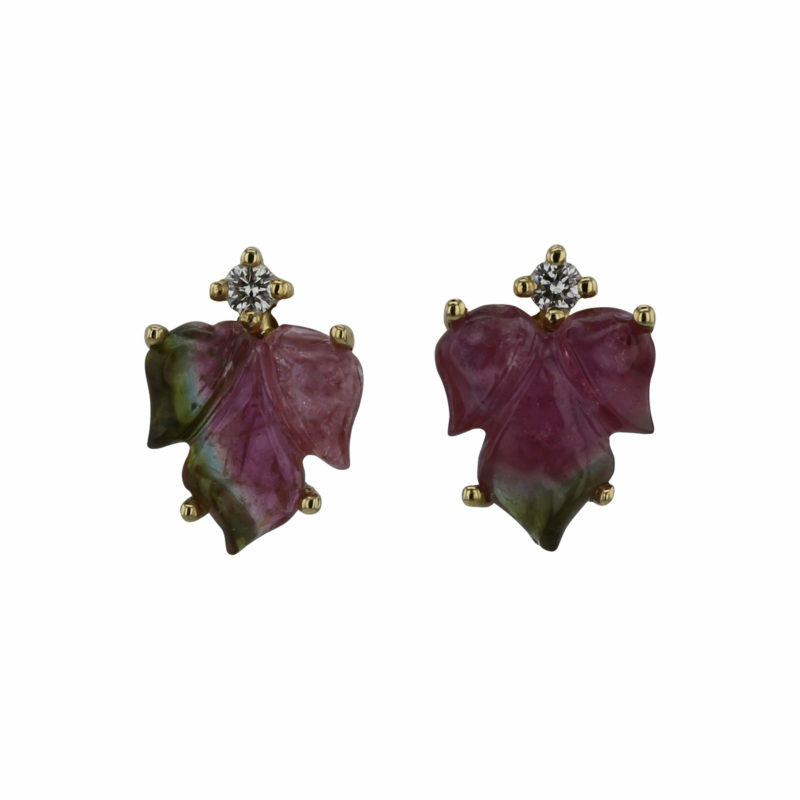 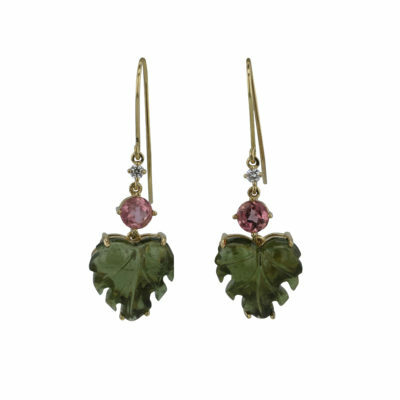 Featuring exquisite hand-carved gemstone leaves and flowers that are accented with complimentary coloured tourmaline’s and diamonds. 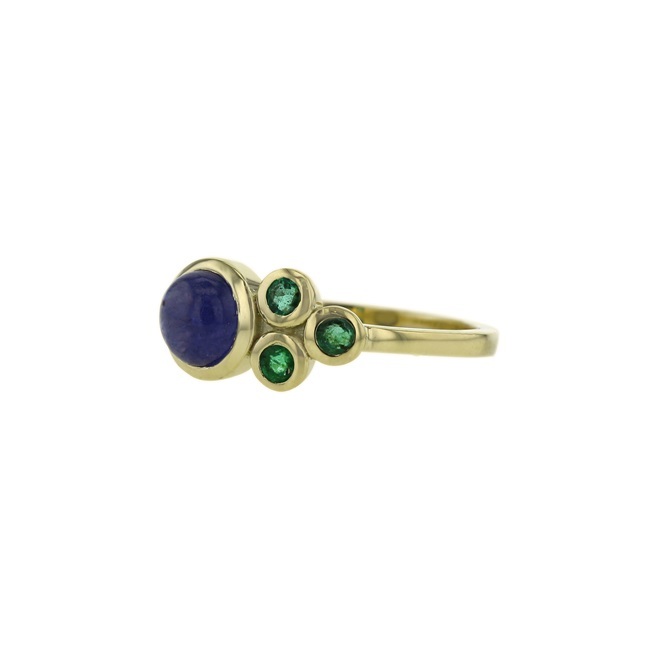 Set in 18kt yellow gold. 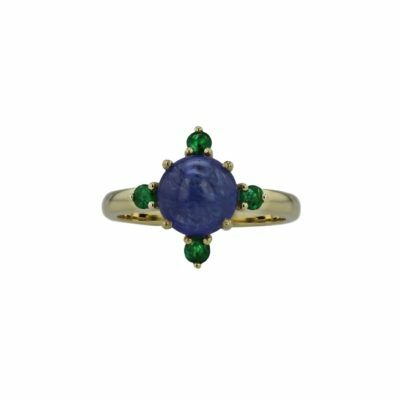 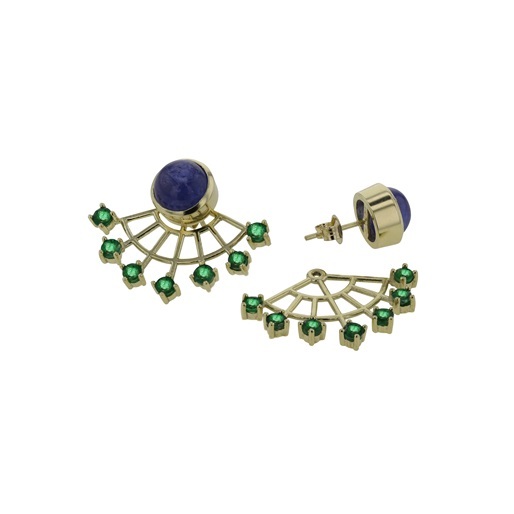 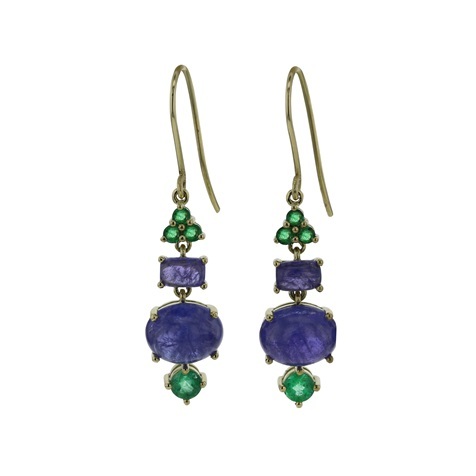 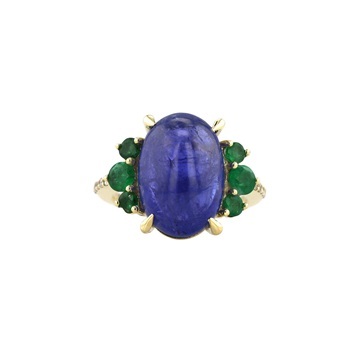 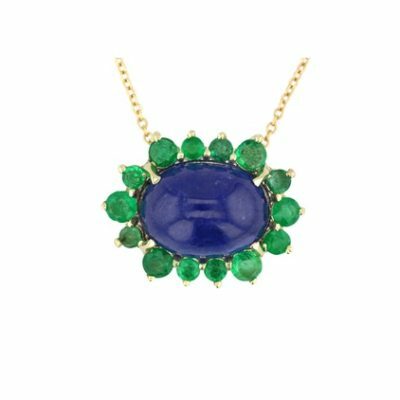 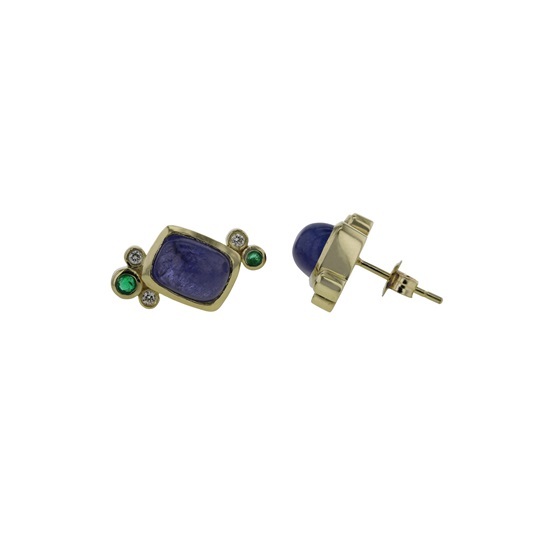 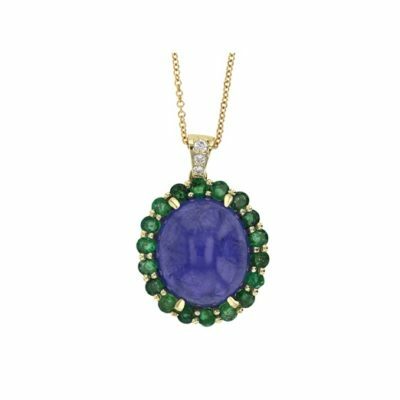 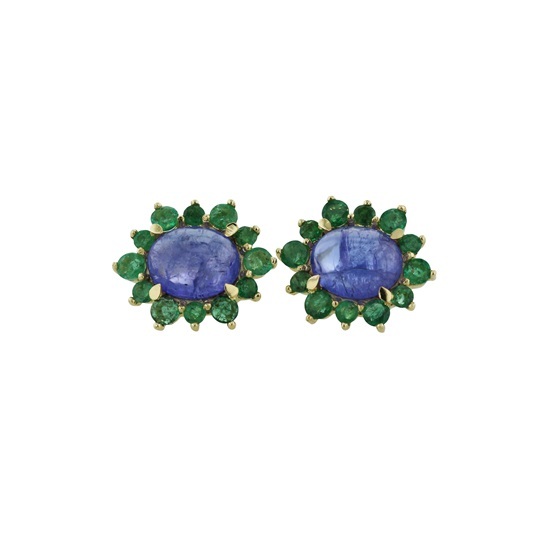 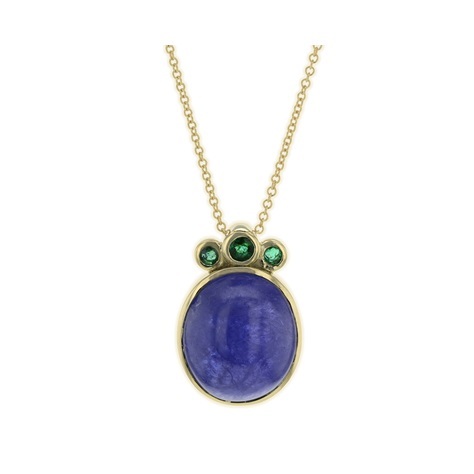 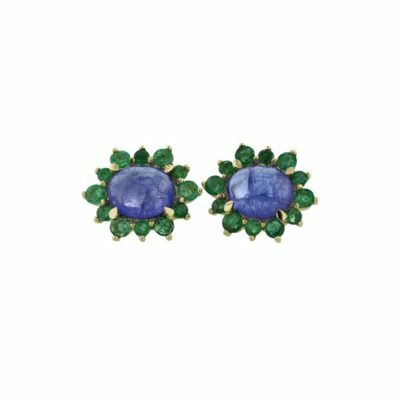 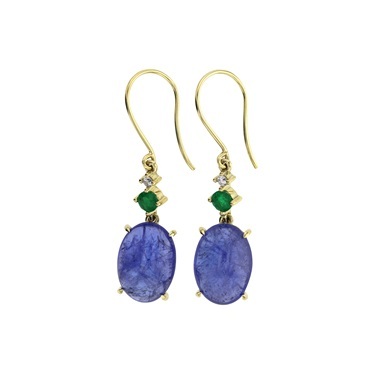 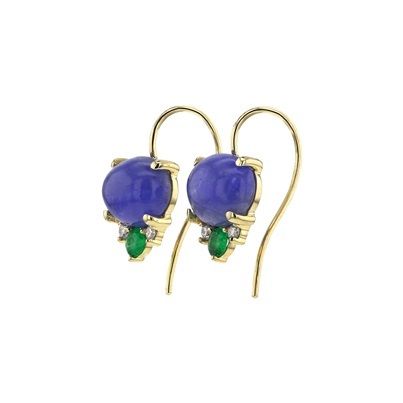 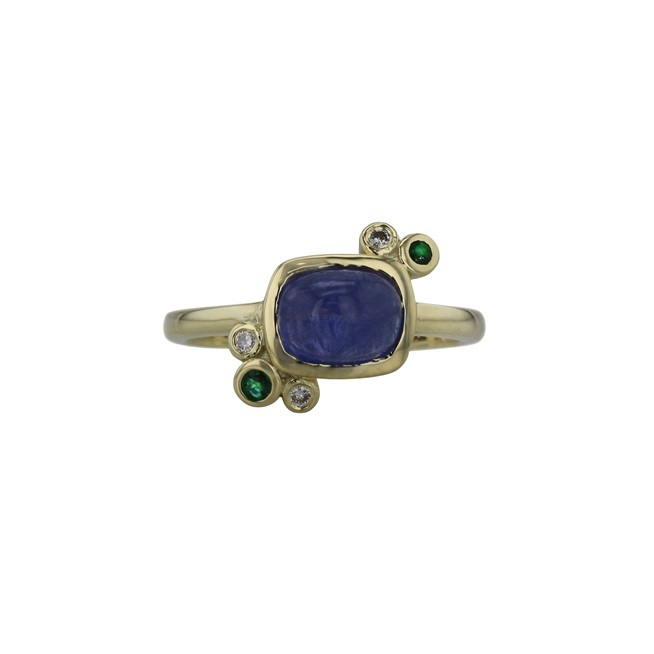 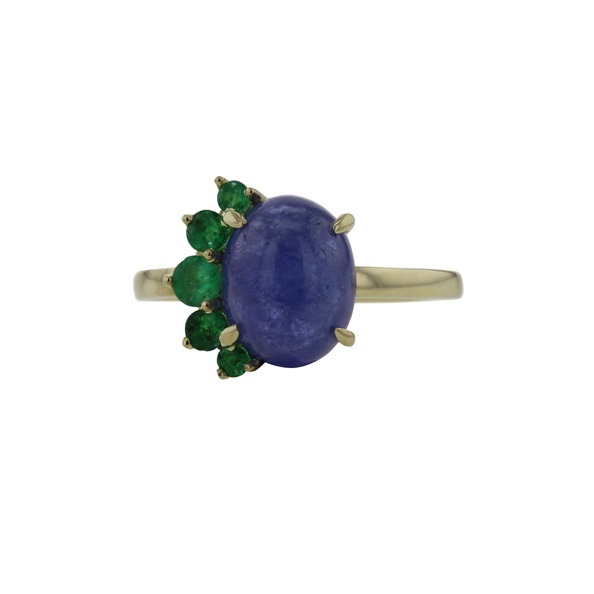 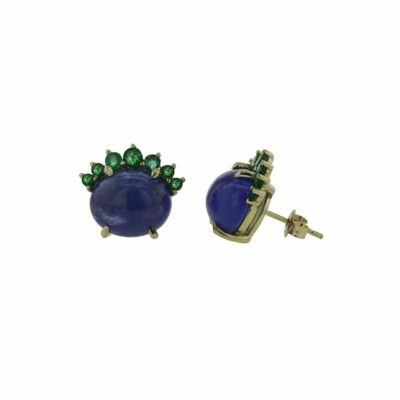 A playful collection of Tanzanite cabochons, Zambian Emeralds and diamonds set in 14kt yellow gold. Inspired by the green and blue hues ever present in South Africa’s exquisite coastlines. 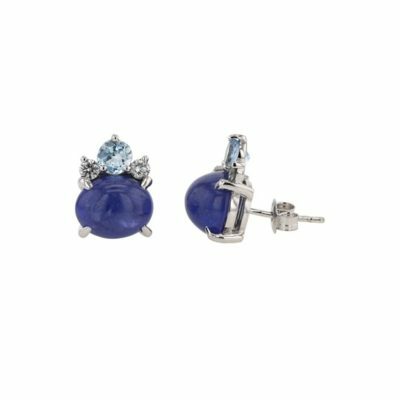 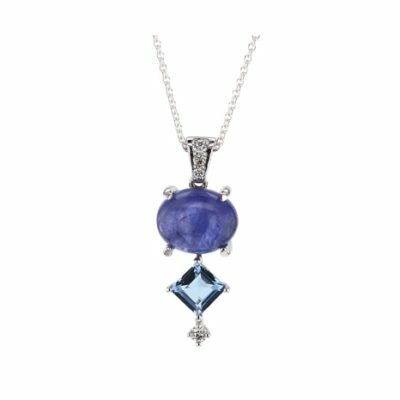 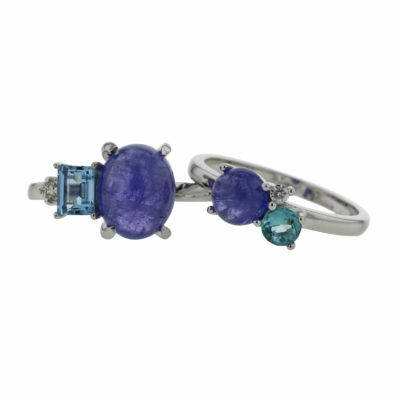 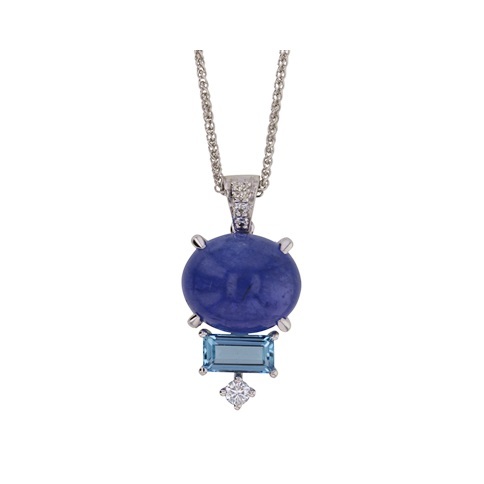 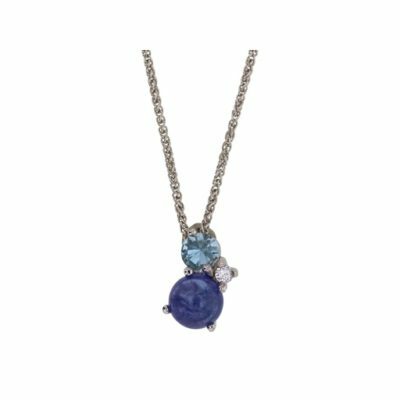 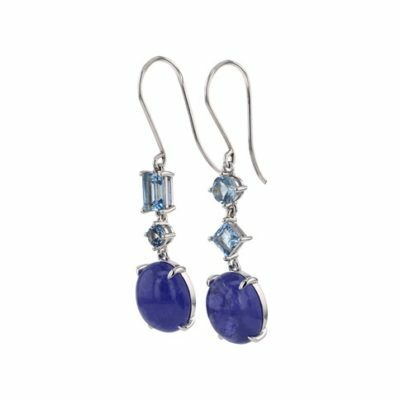 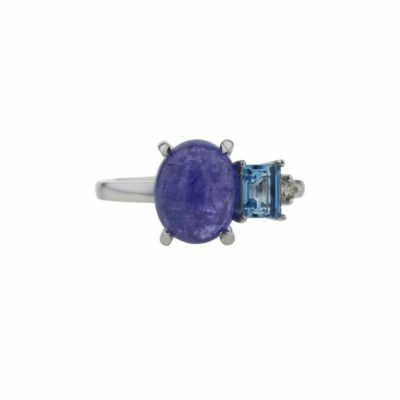 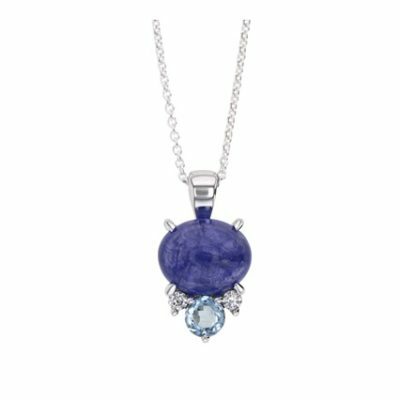 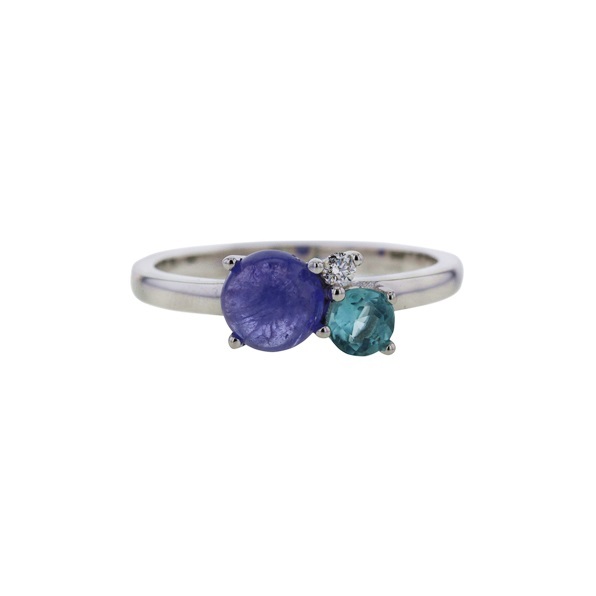 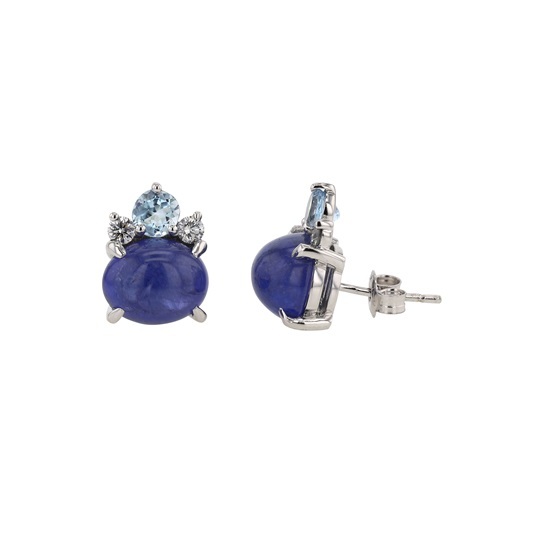 A calming collection of Tanzanite and Aquamarine set in 14kt white gold. 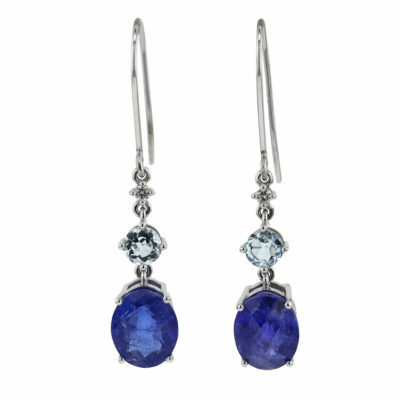 Inspired by the icy ocean blues along the Cape Town coast. 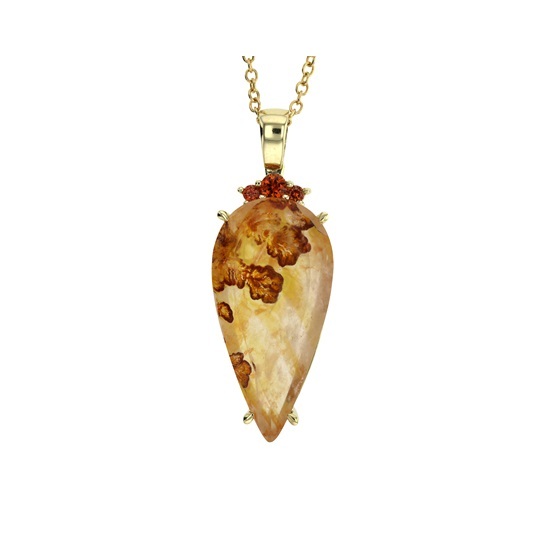 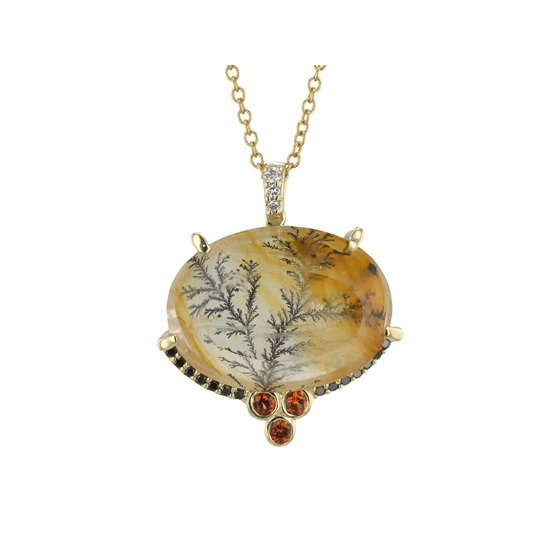 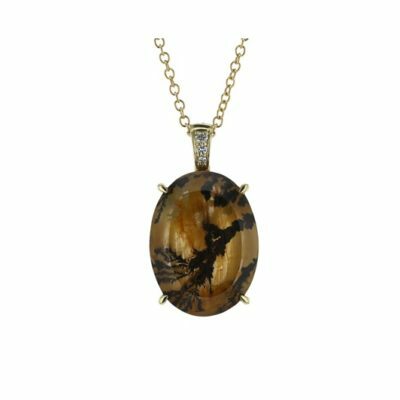 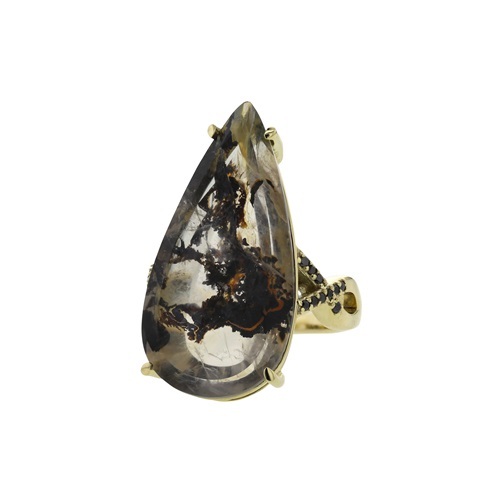 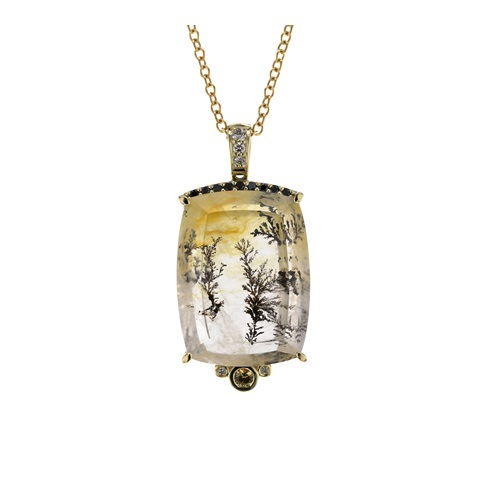 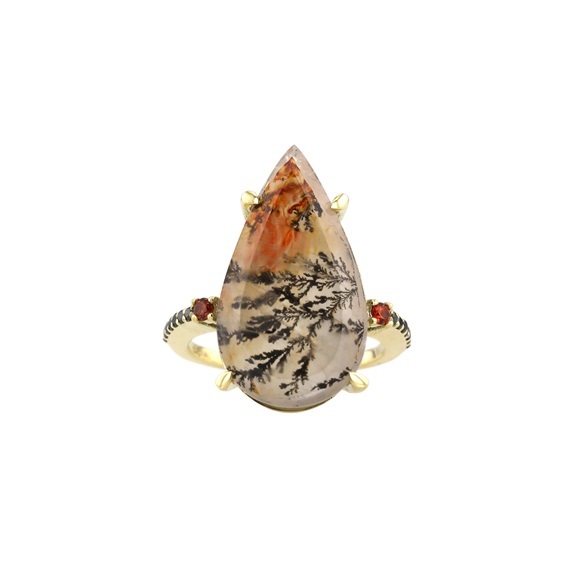 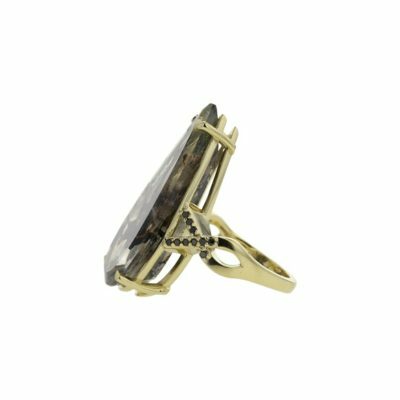 A striking collection using exuisitely detailed Dendritic Quartz stones accented with orange and yellow sapphires and black and white diamonds. Set in 14kt yellow gold.